Inspire someone with your musical story this year at Wild Goose 2016! In the spirit of this year’s Wild Goose Festival theme, Story, we invite you to submit an original song to the Wild Goose Songwriting Contest. The contest submission deadline is April 30, 2016. Top contestants will be informed by June 30, 2016. There are four categories: Americana • Pop • Gospel • General. Judges reserve the right to reassign a song to a more appropriate category if necessary. Top contestants will perform their songs at the festival July 7-10th in Hot Springs, NC. All entries must be the original work of contestant. Entries shall not infringe on any copyright or any other rights of any third party. Contestant may enter multiple times. Each song will be judged separately. Each song submitted must have both instrumentation and lyrics. The Wild Goose Songwriting Contest is open to any and all songwriters who are not signed to a publisher or a record company. Rahsaan Barber – Multi-genre saxophonist, composer, jazz educator, Rahsaan leads the popular jazz/hiphop ensemble The Megaphones. Amy Stroup – Amy appears on both volumes of Mercyland: Hymns For The Rest of Us. Her songs have been featured on countless TV shows and films. She performs solo and as one half of Sugar & The HiLows. 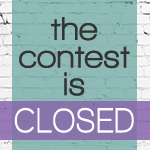 Contest winners may not re-enter the same song, nor may they re-enter in the same category they won. There are no deadline extensions and no exceptions. Entry fees are non-refundable. All writers and co-writers will be asked to sign the Acknowledgment of Contest Rules. A lovely Republic 317 mahogany Parlor Resonator guitar will be presented to the winning songwriter at the Goose this summer.